We love helping our clients and offer an experienced design service from the ground up. Domestic and Commercial, we can design installations from Nertwork Authority Supply through to helping you select that perfect feature light fitting to hang in that special place. Smart Sparx Electrical are able to take a project of any size and provide the most practical and cost effective solutions, while maintaining the all important aesthetics, functionality and efficiency. Smart Sparx Electrical offers numerous electrical services to cover all of your needs. 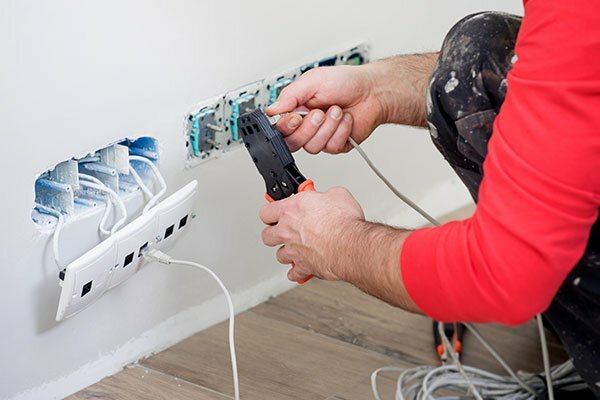 We offer quick and efficient services for any electrical emergencies you may have, and always send qualified professionals to your location for your peace of mind and quality assurance. All of our Smart Sparx team of electricians are licensed and have a Certificate of Compliance. They are professional, friendly and ready to get the job done. We all know how frustrating it can be to experience a problem with your electrical system, or the hassle of a new installation when you’re ready to get the job done immediately. We understand those needs and ensure that we give you what you need, when you need it. From design to completed project we offer the full package, offering solutions for all of your electrical requirements. All of our Smart Sparx electricians are qualified professionals who are fully licensed and have a Certificate of Compliance. Our team are friendly, reliable and multi-skilled. From minor quick repairs and urgent hot water outages to full custom electrical packages, our team can do it all. Our experts will make sure you receive the right solutions for your electrical project.